I’m sure many of you have your own pet peeves and stories to add to this little list of sins, so please feel free to send them my way and perhaps one day I’ll compile a “master list” of the deadly sins of boat diving. So when you see some of these actions and behaviors on your next dive trip, what will you do? 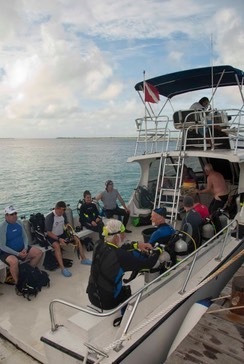 Let’s all endeavor to help each other become better divers and avoid these bad habits, and in the process, make sure that you are not contributing to the problem! Well, now that I have thoroughly vented and purged my boat dive grievances, I’m beginning to feel unburdened and rather Zen like…..time to get wet and forget about life on the surface…..